For all the hockey lovers out there! 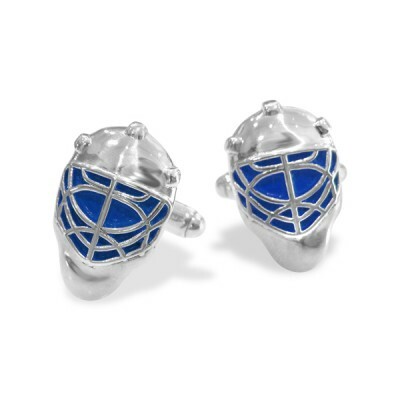 These goalie mask cufflinks are made of sterling silver and are usually available in stock in (Toronto Maple Leaf) Blue, (Montreal Canadians) Red and Black. If your favourite team colours are different, send me an email at [email protected] and we can make them for you in the colour of your choice!